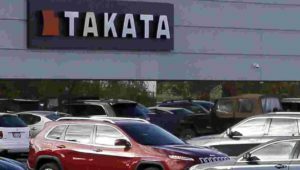 Japanese auto manufacturer Toyota last week announced a recall of 1.7 million vehicles in North America as part of a general effort to replace defective Takata airbags. Toyota is a brand auto name serving many markets worldwide, including Uganda and the greater East Africa. It is not known whether there have been recalls in this region or other markets due to airbag defects. According to AFP, the extensive recall affected 4Runner SUVs manufactured from 2010 to 2016; Corolla Sedans and Matrix hatchbacks from 2010 to 2013; and Sienna minivans from 2011 to 2014. The recall also involves Luxury Lexus models: ES 350 sedans (2010-2012), GX 460 SUVs (2010-2017), IS 250C and IS 350C convertibles (2010-2015), IS 250 and IS 350 sedans (2010-2013) and Lexus IS-F sedans (2010-2014). Scion XB compacts from the 2010 to 2015 model years are also involved. Reports show that this is Toyota’s third large-scale Takata-related recall in just five months. In November 2018, the firm recalled 1.6 million vehicles worldwide. US authorities in 2014 exposed the Takata airbag defect, which has since resulted in a series of massive recalls concerning at least 100 million units worldwide from multiple manufacturers. Founded in 1933, Takata went out of business in June 2017 because of the crisis. The company was finally acquired last April for $1.6 billion by the equipment maker Key Safety Systems, with the resulting entity renamed Joyson Safety Systems. It is not clear whether such faults have been responsible for loss of lives.